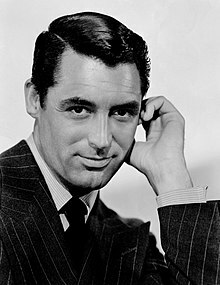 Cary Grant as Johnnie Aysgarth. Joan Fontaine as Lina McLaidlaw Aysgarth. Suspicion is a 1941 film about a shy young English woman who marries a charming gentleman, then begins to suspect him of trying to kill her. Directed by Alfred Hitchcock. Written by Samson Raphaelson, Joan Harrison, and Alma Reville, based on the novel Before the Fact by Francis Iles. Oh, I beg your pardon. Was that your leg? I had no idea we were going into a tunnel. I thought the compartment was empty. If you're going to kill someone, do it simply. Well, well. You're the first woman I've ever met who said yes when she meant yes. General McLaidlaw: Good heavens! You can't expect me to remember every detail about everybody, can you? Lina McLaidlaw Aysgarth: I must go now or I'll be late to luncheon. Anyway, if my father saw me come in both late and beautiful, he might have a stroke. Isobel Sedbusk: I always think of my murderers as my heroes. Isobel Sedbusk: You couldn't hurt a fly, Bertram, unless it was already dead. Johnnie Aysgarth: You thought I was going to kiss you, didn't you? Lina McLaidlaw Aysgarth: Weren't you? Johnnie Aysgarth: Of course not. I was merely reaching around you, trying to fix your hair. Lina McLaidlaw Aysgarth: What's wrong with my hair? Johnnie Aysgarth: Well, I'm glad you asked me that. It would've been extremely discourteous for me to bring the subject up. Your hair's all wrong. It has such wonderful possibilities that I, well, I got excited. For the moment I became a, a passionate hairdresser. Johnnie Aysgarth: Don't do that. Lina McLaidlaw Aysgarth: Why not? Johnnie Aysgarth: Because your ucipital mapilary is quite beautiful. Johnnie Aysgarth: He doesn't like me. Lina McLaidlaw Aysgarth: I know. Johnnie Aysgarth: He doesn't trust me from here to there. [Speaking to portrait] Do you? Well, you're right. I can only bring her unhappiness. Well, warn her. Speak up, man. It's your last chance. [To Lina] Hear him? Lina McLaidlaw Aysgarth: Very distinctly. Johnnie Aysgarth: He's not exaggerating a thing, dear. It's all true, every word he isn't saying. Lina McLaidlaw Aysgarth: I love him, father. Johnnie Aysgarth: Did you see him jump? Lina McLaidlaw Aysgarth: I did. Johnnie Aysgarth: Well, watch this one. [Speaking to portrait] Sir, I have the honor of asking for your daughter's hand in marriage. Well, what do you say to that? [He begins tapping on the portrait and it falls off the wall] My oh my. You heard him that time, didn't you? Johnnie Aysgarth: Borrow some more. Isobel Sedbusk: He also knew that his victim couldn't swim. Don't forget that. Lina McLaidlaw Aysgarth: Well, what I want to know is this. Would you call that an actual murder? Isobel Sedbusk: Well, from a moral standpoint there's no question at all. It is murder. Isobel Sedbusk: Imagine a substance in daily use everywhere. Anyone can lay his hands on it, and within a minute after taking, the victim's beautifully out of the way. Mind you, it's undetectable after death. Lina McLaidlaw Aysgarth: Is whatever it is, painful? Isobel Sedbusk: Oh, not in the least. In fact I should think it'd be a most pleasant death. Photographer: I wonder if I could have just a little bit more of your smile? Johnnie Aysgarth: Oh, now, not at this hour of the morning. Each time they kissed... there was the thrill of love... the threat of murder! Love in his Heart ... Tragedy in his Mind! In his arms she felt safety...in his absence, haunting dread!